As a real estate closer, one of the issues we frequently encounter is a party to a transaction intending to use a power of attorney (POA). However, attorneys and title underwriters frequently ask that we avoid using POAs in transactions for a number of reasons. There are many claims against title companies that involve fraud from the use of a POA. Luckily, as a title agent for many title underwriters, Clark Partington is fortunate to have several resources to call upon for authorization of needed information and margins of liability in our closing, and for our final title policy when we have to use these documents in a transaction. Professionals like Melissa Farrow, Sam Sutton, Mike Greico, Vicki Campbell, Cliff Rainey and Vivian Hastings are only a phone call away to consider any power of attorney that our attorney prepares or has reviewed for a POA that already exists. There are several kinds of POAs and they all have specific purposes. The durable power of attorney is almost always required. This instrument gives another person specific powers to sign for an individual in a real estate transaction where the exact name and description of the property is stated in the document. The requirements of this document varies from state to state, so it is best to have the document generated from a representative in the state the transaction will occur. For example, Florida requires execution by the person giving the authority (the principal) to another (the agent), to be signed in the presence of two witnesses and an unrelated notary. This procedure helps ensure the integrity of the document. The risks of using a POA can include forgery and improper use. A POA executed in another state or a place unknown to the closing agent leaves room that the document could have been falsified. If the closing agent or attorney is asked to generate and assist in execution of the document, a typical question is why the principal is able to sign the power of attorney but not able to sign the original documents. The parties to the transaction agree on the closing date. A better alternative to using a POA is to schedule closing when all parties are available. It may look like you were pressured and the person acted against your true wishes. It is also a common mistake for named representatives to think the Durable Power of Attorney is still good after the death of the Grantor. This is not the case. The power of attorney terminates at the principal’s death. Often there are situations where one person will be out of the country. Granted – a POA is much easier than the person trying to make it to the American embassy to execute closing documents. As Sam Sutton with First American Title Insurance Company reminded me a “military POA will almost always be authorized for use.” With this area being military, we frequently see the military power of attorney for a spouse stationed overseas. Some individuals sign contracts for the sale without understanding the exact powers of the document that has been given to them. It is beneficial for the closing agent and/or attorney to know up-front an individual intends on using a power of attorney so the document can be reviewed and approved early in preparation for closing. Often we come across individuals believing because the have power over bank accounts or medical decisions they can sell the principal’s property. This is not always the case. Luckily our real estate attorneys at Clark Partington can discuss the correct power of attorney for any situation you may have or need – or suggest a solution that does not require use of a power of attorney and thereby avoid the difficulties that POAs can present in underwriting a closing a real estate transaction. 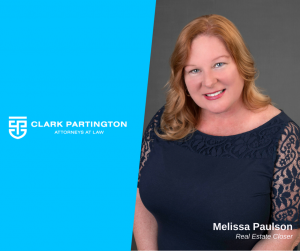 Melissa Paulson is a Real Estate Closer in Clark Partington’s Pensacola, Orange Beach and Destin offices. She can be reached at 850-434-9200 or mpaulson@clarkpartington.com. 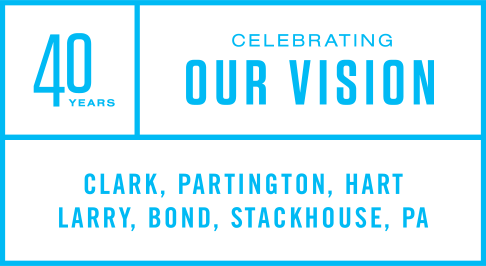 Clark Partington’s Real Estate Group is equipped to handle your closings and answer questions related to your specific situation. With offices in Pensacola, Destin, Santa Rosa Beach, Tallahassee, and Orange Beach (Alabama), we are a full-service firm covering this part of the Gulf Coast. To reach one of Clark Partington’s Real Estate attorneys, contact Richard Sherrill at (850) 434-9200 or rsherrill@clarkpartington.com; or, Charles James at (850) 434-9200 or cjames@clarkpartington.com. This publication should not be construed as legal advice. Its applicability is dependent upon specific facts and circumstances and is provided for informational purposes only. You should not act upon this information without seeking advice from a lawyer licensed in your own state.